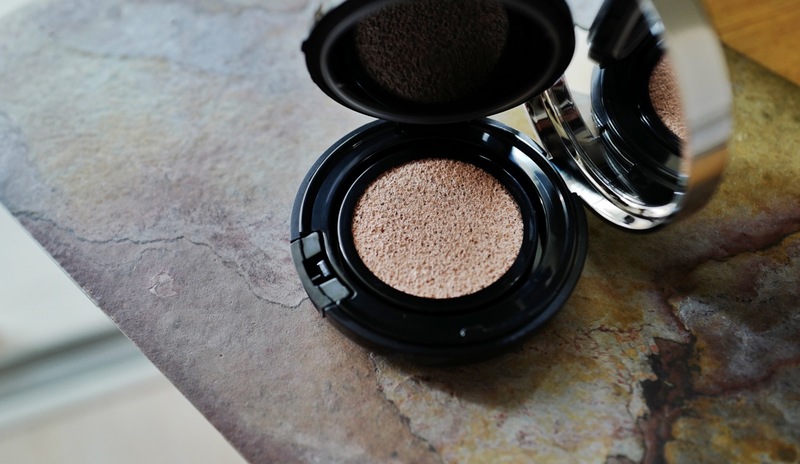 I’m going to get straight to the point — Clé de Peau Beauté has perfected the cushion compact. The beautiful golden, mirrored case. Some backstory: last month, I was in Tokyo for Shiseido’s massive rebranding and new collection launch; and during lunch one day, I was sitting with NYLON cover girl, Yoyo, who spent a good part of the lunch telling me about CDP’s new cushion compact that she had a preview to in Hong Kong. She said it was the best cushion she had ever used; and it’s really one of those things you need to try for yourself to understand. I just got my hands on a piece (before tonight’s press launch to the rest of the media! 😊), and it’s not just impressive… it warranted me putting all my other articles aside, and writing about it. First impressions: the gold case is beautiful! It’s a mirrored, brassy, gold top that for some reason, doesn’t show fingerprints as badly as YSL’s gold compact. The Japanese have found a way to reflect the fingerprints so they aren’t obvious (wow, right). Next, everything included is individually sealed — the puff is sealed in plastic, the cushion refill is also sealed in a foil wrapper, and has another peel-off seal over the actual foundation. 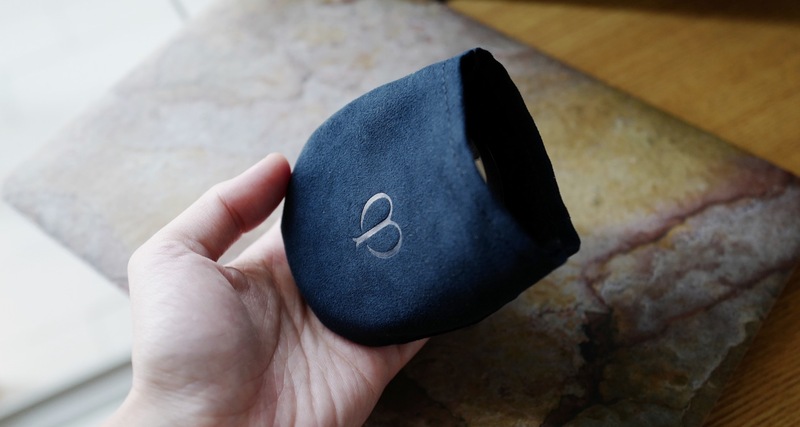 Finally, there’s a velvet suede pouch to house the compact in so you won’t get scratches on it when you throw it in your bag. The velvet suede pouch to keep the compact in. gave my skin a smoother texture! The cushion itself looks pretty normal, but the formula is spectacular. But what really makes this cushion stand out from the sea of cushion compacts out there, is that it achieved all this without being obvious. I can’t tell that I’m wearing foundation on my face, and I love it (of course)! The final finish is not dewy (it claims a natural dewy texture, but when I think dewy, I’m thinking Korean cushion compact-dewy), it’s not powdery, and it’s not matte (let’s be real, matte textures don’t look that natural). The texture of the formula itself is also soft, without being too soft; it is creamy, but not super creamy (or oily! Ew! ), and it’s just liquid enough to be able to blend on the skin easily. 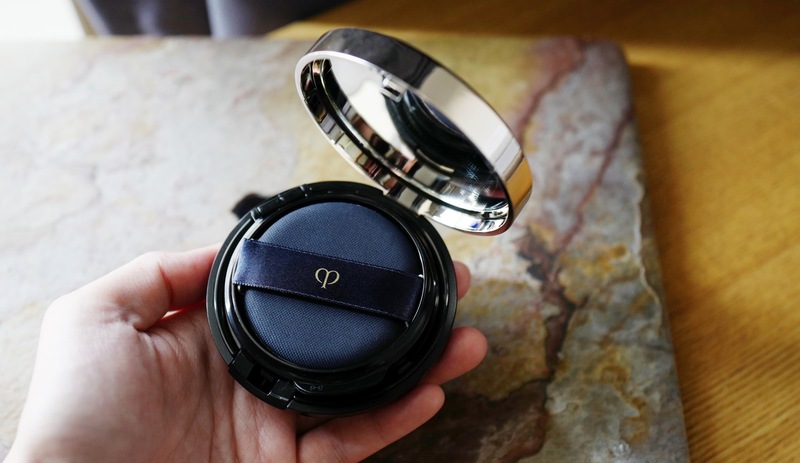 Yes, I think I’ve just described my ideal cushion compact, and Clé de Peau Beauté has made it. In fact, I was hoping for exactly this in my past reviews on La Prairie ($365) and Chanel ($90) cushions — I even said that the Chanel one would be a hard one to beat — but CDP has won the cushion game. Its only flaw? What else… the price. Clé de Peau Beauté Radiant Cushion Foundation is priced at $130 for the case and one refill. Additional refills can be bought at $100. Available in 6 shades online at TANGS. Shade featured: O10. Disclaimer: I was not paid or commissioned to write this review. I genuinely loved the product.